What is Tapping It Forward? Tap It Forward is a movement that was established to help small craft beverage business get a start in the industry. Tapping It Forward is a voluntary gesture that is made by a hosting bar or restaurant to allow a small craft beverage producer to showcase their products on the bar or restaurant’s tap line. If the product is good it will speak for itself and customers will ask to have it back. Why is this important to the craft beverage industry? Craft businesses, some of which don’t even have their own tasting rooms, rely on the support from their local community to help them get a start by getting their product in front of customers. It’s not easy for the little guys to gain tap space that is dominated by distributors that represent large alcohol beverage companies. Tapping It Forward is a selfless act of giving that embraces the theme of community and support for farmers, producers, and small local businesses. Purchasing craft products may come at a slightly higher cost because fresh, local ingredients typically cost more than bulk ingredients that are mass produced. Customers that support craft understand and support local businesses and don’t mind paying a little more for craft products. The benefits of supporting local and craft businesses are far reaching and impact every step of the craft product supply chain. 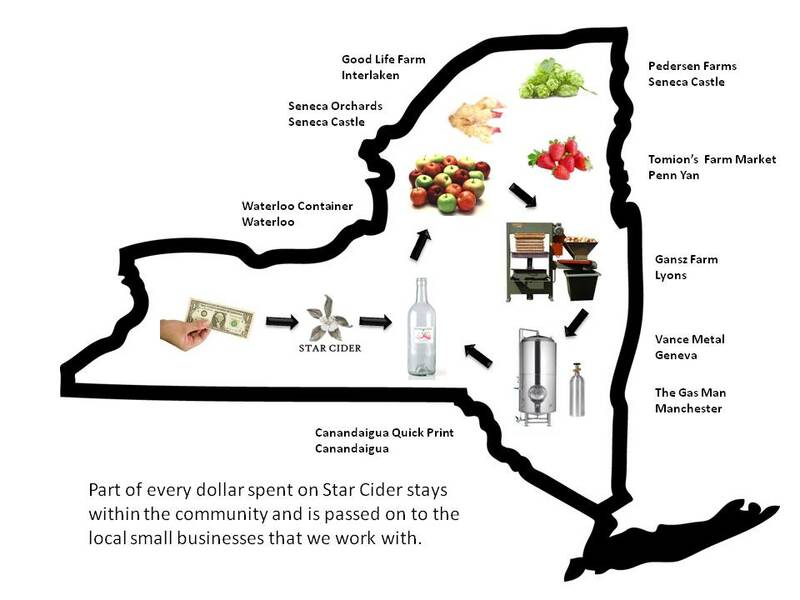 You are not only supporting a craft beverage producer, but also the local growers and farmers that supply them with fresh ingredients. If we all work to support one another we can build an invaluable and enriching circle of economic success that is based on a foundation of local support and brand loyalty. Thank You. On behalf of small craft beverage producers we would like to thank all of you that are already supporting the Tap It Forward movement. We would also like to encourage anyone that owns or manages a restaurant or bar to Tap it Forward for a local craft business near you. Thank you again for being a part of this incredible movement to bring successful small businesses back to our local towns and communities where they belong!